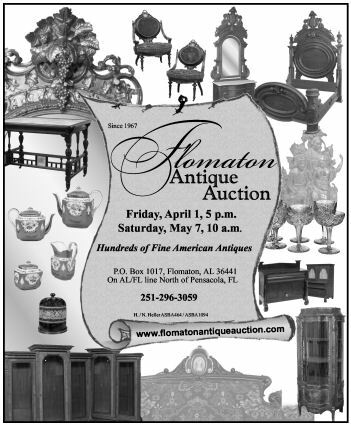 This ad appeared in The Brewton Standard. Variations were seen in Maine Antique Digest, Antique Week & Antique Trader. We can help design and publish all sorts of print advertising. We will prepare brochures, booklets, newspaper and magazine ads for you. Copyright 2005 by N. Collier, Publisher.